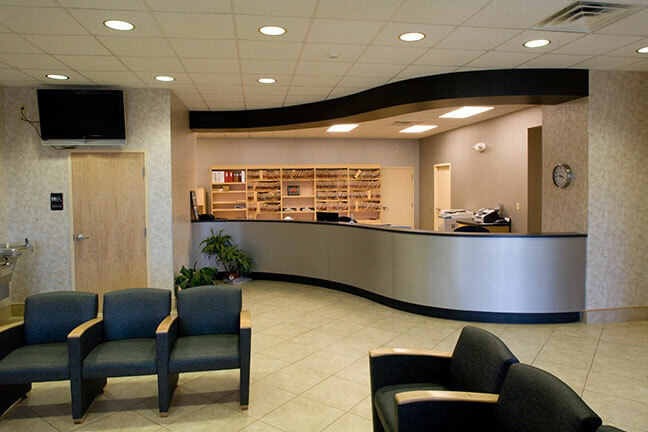 List of Special Issues: Design project with owner furnished cabinets, floor coverings, and wallpaper. 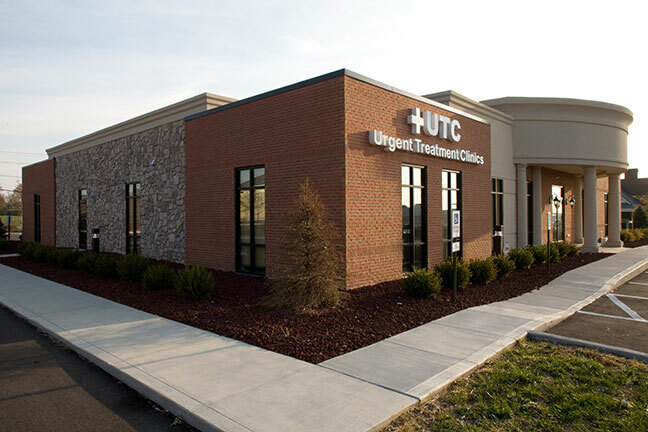 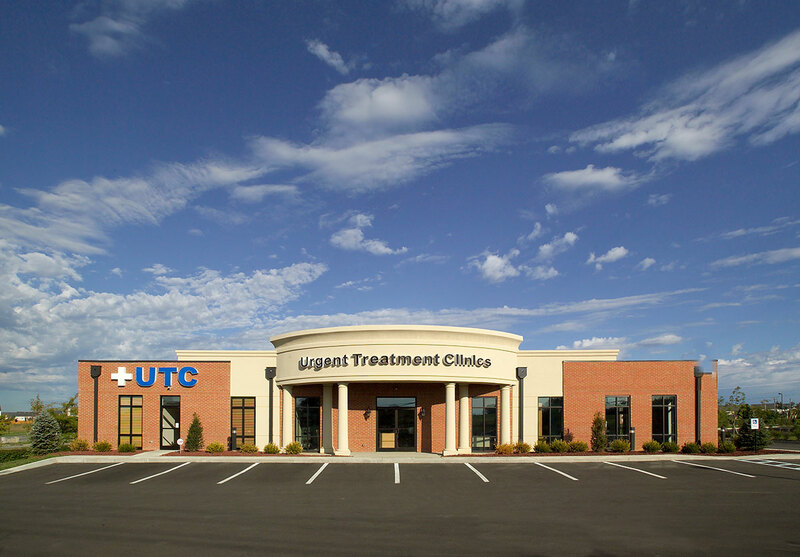 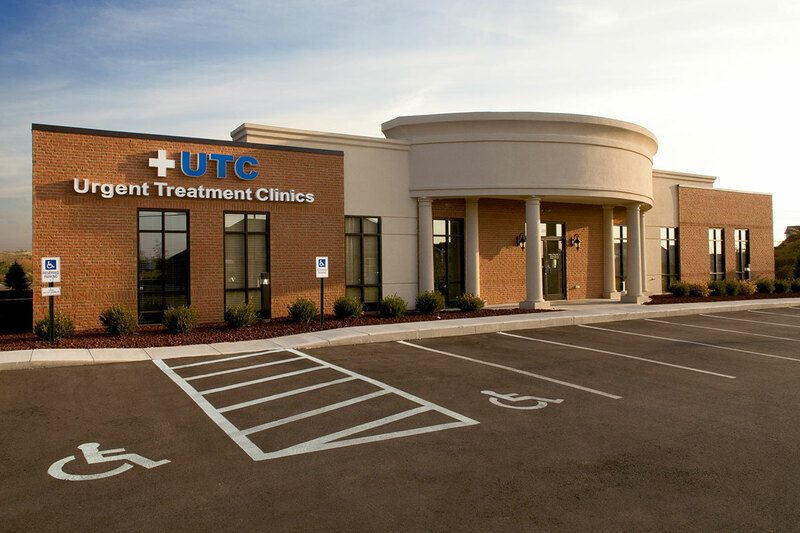 This Urgent Treatment Center includes a beautifully rounded EFIS exterior entrance, brick and stone work, creation of new parking lot. 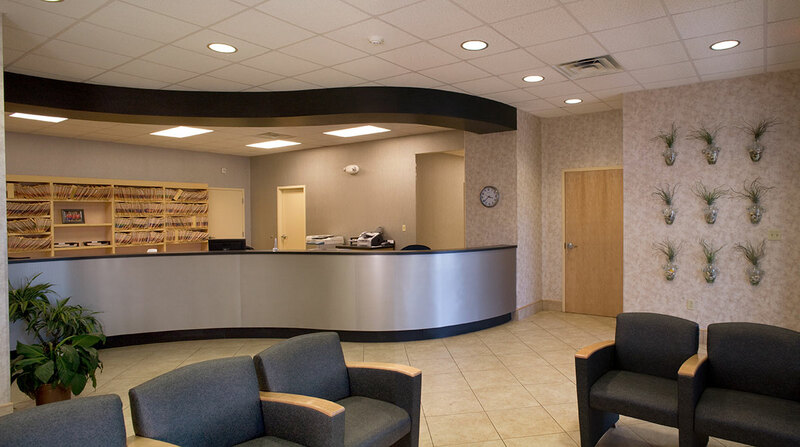 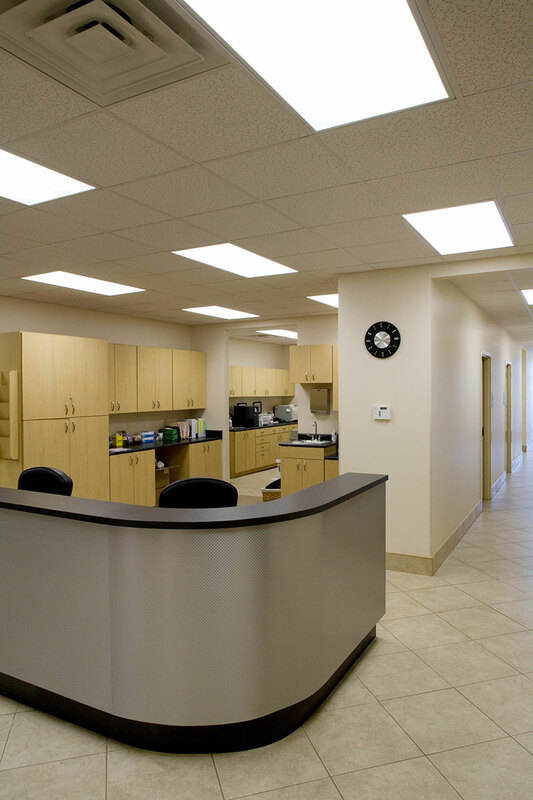 The interior is complete with modern patient rooms, tile floors and curved stainless facade reception desk.